Simply because we couldn't help ourselves, and are obsessed with anything that pertains to nuptials, we compiled a mega list of the hottest and most beautiful wedding dresses for 2015. Also, apologies in advance if you haven't yet received a ring and begin to experience major envy and an onset of uncontrollable rage. We get you. Just browse and continue to dream, darling. A woman's wedding dress is one of the most important (if not the most important) piece of clothing she will buy in her lifetime. There's a ton of fussing, tears, and dieting when it comes to finding the perfect one. This process, no lie, can take months upon months. It's far, far, farrrrr from being a game. From tulle-mania to loads of lace to dresses with sleeves and pockets, a gal can easily get overwhelmed. How do you even begin to choose?! Easy. We're here. Before you even THINK of setting up your boutique appointment, take a look at our roundup of the hottest and most beautiful wedding dresses for 2015. Which looks are your fave? Tweet us a pic @sofeminineUK! 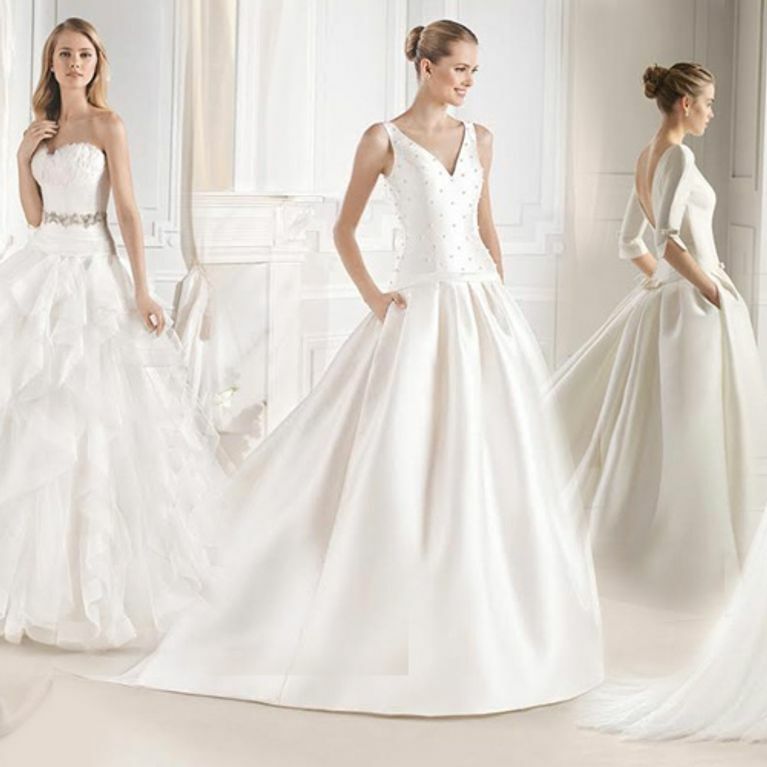 Wedding Dresses: What's Your Style?